Educational institutions operate in an environment of relentless expectations. They serve a new generation of highly skilled consumers of services; legally and socially savvy parents and students who are living and communicating in a virtual and social world. At RTG we offer services and support that aim to make effective use of ICT to enhance learning outcomes. Tailoring a solution that meets a school’s specific requirements is something that we have been doing successfully for over 30 years. That is precisely why we are the ICT consultants of choice for educators. We understand how to successfully and effectively deliver ICT to improve learning outcomes. RTG serves schools in New South Wales, Victoria, Tasmania and South Australia. RTG provides many schools with dynamic, living and flexible strategies to ensure best practice is continuously implemented to integrate pedagogy and technology. Consideration is always given to the school’s budget to provide the most suitable technology model. RTG can help you by listening, collaborating and planning with your staff and appropriate vendors to produce ICT solutions that best meet your educational needs. Are you ever frustrated with unreliable systems that compromise on your ability to educate? Do you have a clear future ICT direction? Is your team embracing new ICT initiatives in the classroom? Do you have a lack of technical resources to keep things in working order? Are you driving learning innovation through promoting ICT awareness and professional development? Whatever your situation, we can assist you moving forward. Developing and maintaining an ICT strategy is demanding and together with the general upkeep of a school network, it can often be left on a perpetual “to-do” pile. RTG has the expertise and resources to get your ICT strategy off the ground and into classrooms, incorporating ICT support and ICT solutions that work. RTG in partnership with BrightBytes, a Silicon Valley based learning analytics organisation, is now making it possible for schools to measure the effectiveness of technology on student learning outcomes. The BrightBytes product, Clarity, measures modern learning outcomes and the factors that shape them identifying strengths and gaps, and delivering research-driven information and suggested tools. The platform is able to track progress within the plan, and provides up-to-date reports that leaders can use to be better informed in the decisions that they make. Armed with a team of data scientists and researchers, BrightyBytes bring a variety of solutions aimed at helping schools understand the link between what they are doing and the outcomes that research has proven is effective. In simple terms, you’ve always had data and the Clarity Platform now offers you the Answers. In all the excitement over the slew of smart learning devices, tools, services and software now proliferating through education, it’s important to consider whether you’re advocating the use of technology for its own sake (or progress sake) or whether these new tools are actually having an impact on achieving effective student outcomes. Our partnership with BrightBytes will help schools be better informed around this critical question and complements RTG’s approach to making technology more effective. Do you have a Learning Management System or are you thinking of changing your LMS? RTG can help. With over 1400 LMS support options available, selecting the most appropriate LMS for your environment can be difficult and time consuming. We bring a wealth of experience with LMS systems including: Schoolbox, Firefly, EWS, SEQTA, Google Apps, Office 365, Canvas, SIMON and many more. We also provide strategy, advice and learning management software support for schools, regarding the selection and implementation of learning applications and other software tools and solutions. Our services also extend to providing schools with database development, maintenance and administration support. At RTG we are vendor- and product-agnostic. We don’t recommend an alliance to any one of the LMS systems on the market, instead at RTG we’ll review your needs to provide find a solution that aligns with your short and long term objectives. It’s hard to find a student without a smartphone or even access to a tablet. So it is only natural progression that has landed us in the age of ‘bring your own device’ (BYOD) solutions. 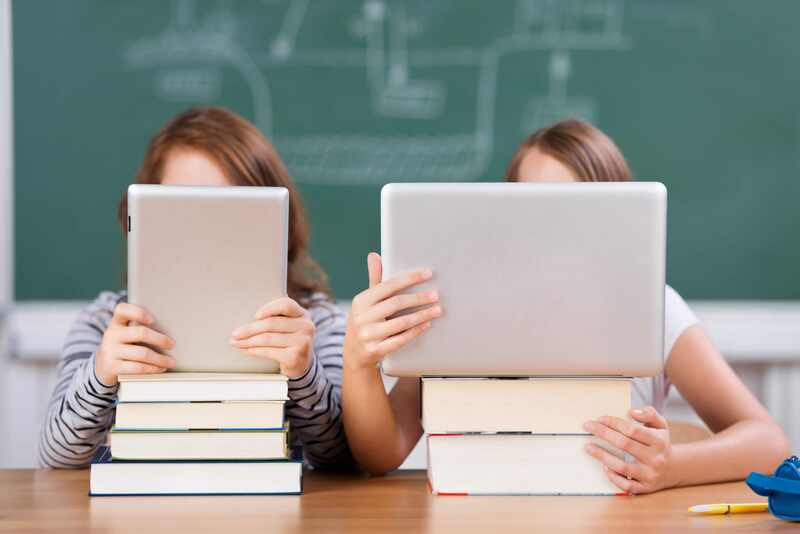 Students have a strong preference on using their own device as opposed to something foreign and it enables them to work seamlessly between home and school. The students therefore have more opportunity to demonstrate safe, responsible and creative uses of digital technologies. RTG has worked with many schools in formulating strategies and implementation plans for BYOD. These strategies have enabled limited resources to be redirected to other pressing needs. The benefits of BYOD can only be hassle-free if schools manage the diversity of devices, assist their teachers and students in the transition and protect their data from being compromised. At RTG, we help evaluate, pilot, plan, integrate and measure the effectiveness of BYOD into classroom practice. We have the BYOD strategies, solutions and experience to ensure your infrastructure and data will be not compromised and that your students and teachers are kept happy. And we work relentlessly to keep it that way. Our abilities go beyond educational institutions. We have the expertise and experience to help provide solutions for your Not for Profit or Aged Care Facility or your medium-sized business. With services stretching all over Australia, including Victoria, South Australia, Tasmania and New South Wales, wherever you’re based we’re bound to be able to assist you. Interested in having a discussion? If you’re looking for further information on our ICT strategy and support services, or learning management software for your school, please call us at 1300 362 456 or send us an email – we’re always happy to chat!